Bullet Points, always. Depending on the category, e.g. in the luggage category, you have the option to upload 5 bullet points with 500 characters each. Use these characters! The bullet points are more important than the product description at the bottom of the page since they appear above the fold and give customers all the information about the product that they need straight away. The more detail the better. This is the section where you can convince your customers to buy from you. So always think about your potential customer and what they want and need to know before committing to buying your product. It is also worth testing which bullet point descriptions convert better than others. They are absolutely vital to converting sales. 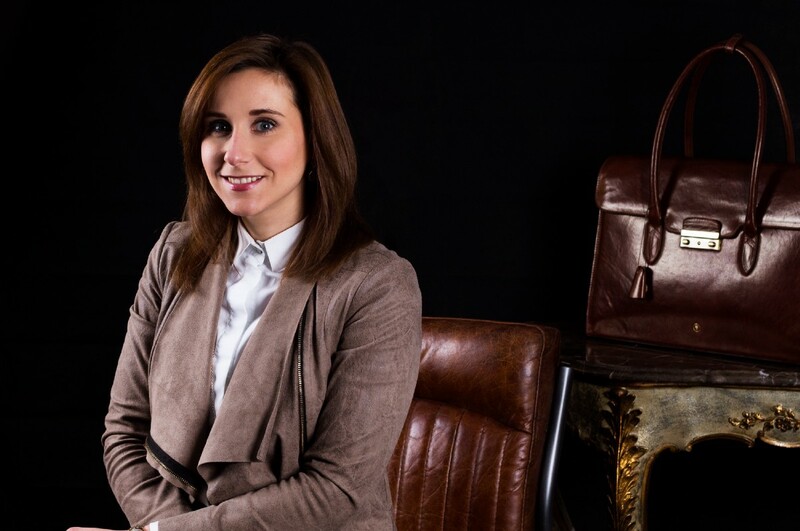 As a part of my interview series about “Five non-intuitive things you need to know to run a very successful Amazon business, I had the pleasure of interviewing Julia Munder, Head of Marketing and Strategy for British leather brand Maxwell-Scott. Julia is the head of all global marketing strategies and responsible for overseeing general website and CRM management for the brand’s seven sites. Originally from Stuttgart, Julia started out her career in TV Journalism after graduating with a B.A. in English & German Linguistics. In 2012, she moved her life to Yorkshire to spearhead the launch of Maxwell Scott’s expansion into the German market. Germany is now the company’s second largest revenue maker behind the UK. 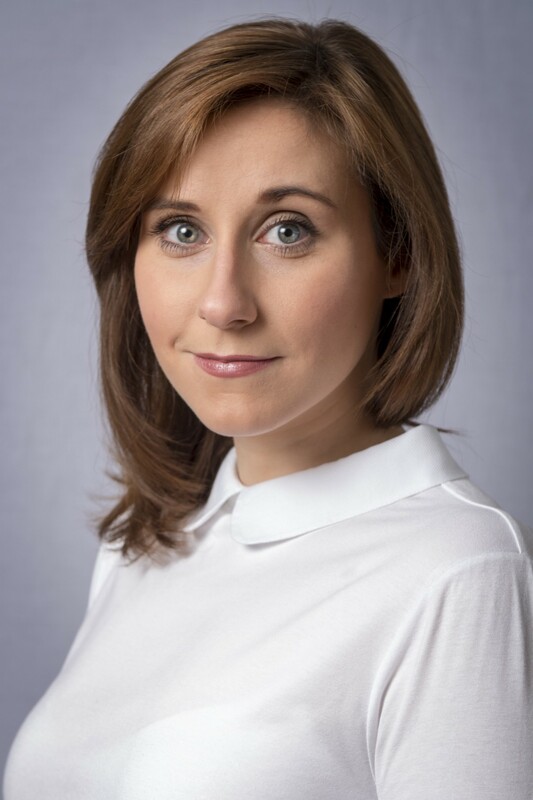 Whilst in charge of all international marketing strategies for Maxwell-Scott, Julia received a scholarship to study International Communications at Leeds University, where she achieved a first class Masters degree. In her current position at Maxwell-Scott, Julia plays a major part in driving the business towards their vision of becoming the most loved luxury British bag maker in the world. Coming from an international communications and linguistics background, I have always been interested in language, media and communications. I started by working on international theatre and TV projects, after which my career path developed more and more towards the digital field and later e-commerce. I joined Maxwell-Scott as the Marketing Manager seven years ago and have been part of the brand growing into an international ecommerce retailer. Of course Amazon is of huge significance within this online shopping landscape, hence it is naturally part of what we do at Maxwell-Scott. After 6 years of working on our Amazon store, our company Maxwell-Scott has been chosen to join the Amazon Fashion incubator program. This chance is given to only 1% of all Amazon sellers worldwide. Therefore, such a programme is a great compliment to our past work and a huge opportunity for the future. It provides so many opportunities as we receive firsthand information and training through Amazon. This knowledge makes us an expert on selling on Amazon. When I started working on Amazon, I was not a fan. Most of you that are familiar with Amazon will know that the platform can be quite confusing. So, there wasn’t a day where I didn’t struggle with an issue or had questions left open. Nevertheless, since embracing Amazon as a great opportunity for the business and getting more insights from Amazon directly, I have enjoyed working on projects. Now I find that I am highly motivated to increase our turnover this year by at least 20%. My highlight this year was to visit two Amazon sites in Germany; the fulfillment centre near Hamburg and the HQ in Munich. It was a fascinating look behind the curtain especially as I saw new roboter/AI technology being used in Hamburg. I was incredibly grateful to be given an insight into the inner workings of Amazon and how the company is forging the way for all of us. Data quality was a foreign concept to me when I first started. I focused on description and bullet points but matching up SKUs (item name), ASIN / EAN numbers and browser nodes was not my strength. I must have uploaded 100s of articles into the wrong categories. One Christmas we received an order for a Pop Vinyl figure from the film Elf with our product title “Luxury Italian Leather Briefcase”. The elf image and title clearly didn’t match and neither did my sku/title and EAN number. It had me guessing what had happened and kept my colleagues amused all day. 1. Advertise your Amazon Store, even if it doesn’t feel right to advertise your Amazon store through all of your marketing channels, e.g. email newsletters or social. It might seem counterintuitive as often the mindset is to promote your own website first but, the Amazon algorithm works based on traffic. The more traffic comes to a product page, the higher it ranks. So, in order to guarantee Amazon success you need to get people to look for your products on Amazon. It is still crucial to differentiate between Amazon and your website by promoting different USPs. For example, fast shipping is a must on Amazon whereas there may be great offers on your website. This way, in the long term, you will convert Amazon customers to your customers. 2. Treat Amazon like your own shop as it is as important as your own homepage. This is key to being successful on Amazon. After all, an attractive shop front will help immensely with product and brand advertising. It will also help you to gain credibility and set yourself apart from “cheaper” retailers. The same applies for your product pages. I would suggest registering your brand on Amazon and using the enhanced brand content features. These pages provide the opportunity to present your brand and importantly, to tell your story. You can also theme them according to seasons and offers that you are currently running. All in all, you need to cultivate your Amazon shop to ensure that you effectively communicate your brand to the customer. 3. Get brand registered. It is vital to register your brand on Amazon and use the benefits of having an Amazon Shop, as well as enhanced brand content for product pages as mentioned above. This doesn’t just give your more options when it comes to making everything look on brand, it will also help you with your advertising campaigns on Amazon. This means not only brand advertising (linking to your shop) but also for product adverts. This method is highly effective. When using the enhanced brand content templates people can’t see your product description in the Amazon flat file feed on the front end. Nevertheless, it will still be considered by the Amazon algorithm in the back end. This means you can spam the product description field in your feed with as many keywords as possible. 4. Bullet Points, always. Depending on the category, e.g. in the luggage category, you have the option to upload 5 bullet points with 500 characters each. Use these characters! The bullet points are more important than the product description at the bottom of the page since they appear above the fold and give customers all the information about the product that they need straight away. The more detail the better. This is the section where you can convince your customers to buy from you. So always think about your potential customer and what they want and need to know before committing to buying your product. It is also worth testing which bullet point descriptions convert better than others. They are absolutely vital to converting sales. 5. Images are, unsurprisingly, imperative as we as customers are heavily influenced by visuals. However, we often forget to show the product in use. Customers have questions, such as, “Will my laptop fit?”, “Does the bag have a zip pocket?”, or “Can I wear it as a crossbody bag?”. Consequently, as retailers the best way to answer these questions is visually as information registers quicker with images than with text. Video is even better for showing the use of a product. So we will hopefully be able to use a 360° video and general video function on Amazon. Again, it is important to remember to always be customer centric, start with the customer and work backwards. To be innovate, you should use Sponsored Brands to outbid your competitors. I have seen brands making their banners look like their competitors. The customer might look for brand A but once they click the banner they land on your brand. If they like your product and your Amazon shop looks enticing, there is no reason for them not to buy from you. Otherwise, I do truly believe in the power of well-crafted, effective bullet points. Recently, I have been increasingly personally focused on sustainability. We have just had an eerily warm February in the UK and it emphasised to me the effect that we are all having on the planet. As a result, I have been trying to reduce plastic, buy locally from the market and increase what I am making myself at home. These small changes can be amplified to a revolution if we all address how we approach living sustainably. Moreover, I have been searching for quality pieces rather than the easiest option. At Maxwell-Scott, our philosophy is based on producing the finest quality pieces, using vegetable-tanned cowhides that are offcuts of the meat industry. It is crucial for us to be environmentally friendly. I truly believe that stricter regulations on the chemicals that are used in the leather industry are necessary. Vegetable-tanning is natural, using bark extracts to imbue the leather with a rich, warm tone. However, many leather producers use chrome tanning which requires highly toxic acids and other chemicals as well as the chromium sulphates. These can then enter the waterways and have negative effects on the environment and surrounding population. Hopefully, with time and better education, such practices will cease to exist. I came across this quote in my early 20s when I was working hard but nothing really seemed to work out. I was miserable and stuck in a rut, discouraged by professional life and often spent 12 h/day in a job that made me unhappy, stressed and generally exhausted. I was too tired for any kind of social life and exactly that was the problem. So I changed my perspective. I went back to university and found something that I fully enjoyed doing. Suddenly everything seemed to fall into place, and I excelled in business and other areas of life. Truly as the old adage goes — do what makes you happy and success will follow. Please upload the completed interview, bio and pictures in this upload form HERE. The approximate posting date will be listed there. Links to the live articles will be shared there as well.